It's hard being 6+ months pregnant coming upon my favorite season to get dressed! Fall is full of layers, bold colors, fun patterns and this season... pops of leather. While some of the current fall trends I can adapt to my pregnancy style, leather is not really one, nor is a one-piece jumper, unfortunately. So here's my little dream outfit for fall and one for all you non-preggers out there. You know me for being obsessed with color. I don't wear a ton of black, but this season I'm loving the sleekness of this color for a great backdrop to playing up textures and patterns among other pieces. 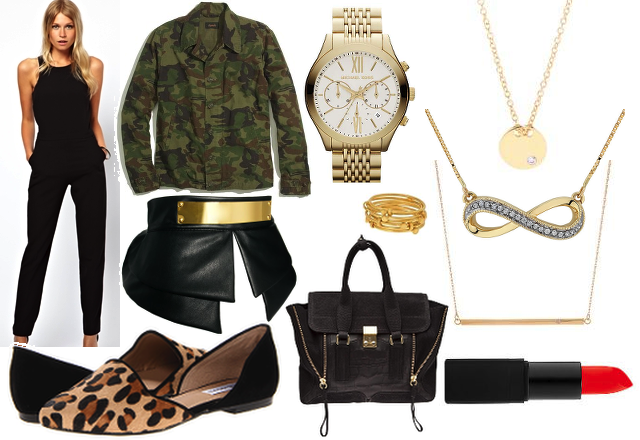 I'm on board the camo trend, have been for awhile now, and love the idea of this jacket layered over the jumper and paired with leopard flats. All the black in between help pull the two pieces together and keep it looking polished. Lately, I've been turning to 2-3 little necklaces vs. one statement necklace. I love layering different length gold necklaces together. Take an disc, infinity and bar necklaces, all beautiful on their own, mix together for a polished, yet noticeable look! This bag isn't for everyone... It's an investment and statement piece that will last you through any season and the rest of your life. I certainly won't be purchasing it anytime soon, but I do love it so. It is big enough to hold all my junk, yet can instantly pull any outfit together. I love lipstick, and something I can still have fun with all while getting bigger everyday. A pop of reddish-orange to this outfit completely makes sense in my head. 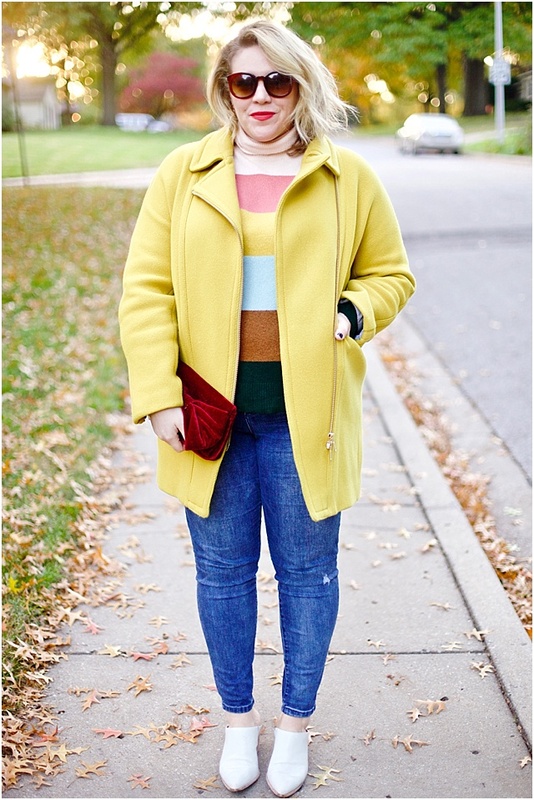 What's your idea of the perfect fall outfit (whether you can wear it, afford it or not)? P.S. 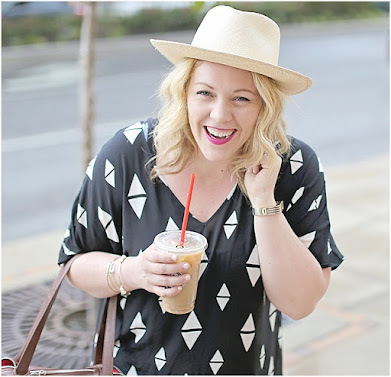 Linked up over at Friday's Fab Favorites, here!